An American pastor who is imprisoned in his homeland of Iran for planting house churches in the country over a decade ago has finally received medical treatment after being denied care for many months. 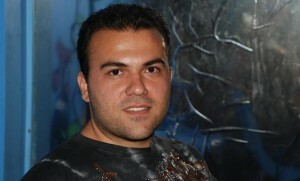 As previously reported, 32-year-old Saeed Abedini, who resides in Idaho with his wife Naghmeh and their two children, has been incarcerated in Iran’s notorious Evin Prison since last September for allegedly threatening the national security of Iran by planting house churches, and for attempting to turn youth in the nation away from Islam and toward Christianity. He had traveled to Iran to build an orphanage last fall, and was about to return to the states when he was taken into custody. According to reports, he has been beaten on numerous occasions by prison guards, but has been denied treatment because of his Christian faith. A month later, the American Center for Law and Justice (ACLJ), which has been representing the pastor, explained that Abedini had been taken to the hospital–but was sent back without any medical care. Now, four months later, the organization is reporting that Abedini finally received medical treatment this past weekend. Abedini’s wife Naghmeh said that she is encouraged by the news, but noted that there is much work left to do.